It is a very powerful fact that due to the characteristics of human behaviour, the vast majority of people in the world today are failing to achieve their full potential, happiness, wealth, health and desires through a complete lack of understanding of the way in which the Universe operates in its immutable, perfect, loving way. When we choose to incarnate into the physical world we do so in full knowledge of who our parents will be, what challenges in the next physical life we will be faced with, and the determination to realise, understand and to meet those challenges, thereby learning vital lessons, to evolve Spiritually and to achieve total joy while doing so. It is only in achieving these and other important objectives can we be fully aligned with The Source, our Creator, God. We are all expressions of God, expressed in all spheres of existence with Unconditional Love and natural, instinctive, powerful desire to evolve, ultimately back to God as a perfected aspect of God. This is indeed the absolute true meaning of all life of which we are all inseparable aspects. We are all, each and every one of us immortal, Spiritual, Divine Beings joyfully journeying along the path back to God Who first gave us the precious gift of Life. Over the years however human behaviour is such that mankind has steadily, and increasingly turned its back away from The Source, our Creator, God, and towards an alternative existence involving gross materialism, dogma and indoctrination, thereby becoming the slave of mammon. Most people are influenced by such erroneous factors such as what is expected of them by those around them, what other people think in the game of conforming to society and the “way things are done”, and above all by the trappings of material desire, vanity and of the individual ego. It is only when an individual realises these truths and has the courage, strength and determination, all of which will be fully supported by the Universe, to face up to them can that individual become truly free to fulfil his or her destiny with total joy, meaning and purpose, and to attract anything and everything that they can possibly desire into their lives. In order to achieve this state of awareness it is necessary to consciously become an open channel through which the Universe, The Source, God can express in the physical world. This means always being totally open to the Universe and acting accordingly in the same direction. Most people today unfortunately do exactly the opposite by always endeavouring to conform and live up to the expectations of others, the pursuit of material gain, and forcing things in a perceived direction by physical means. 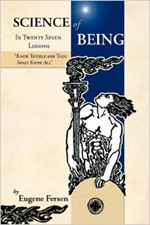 Instead of being an open channel, a source of expression of God and of their Higher Self, they simply think about everything too much with a desire to physically “do” things in an attempt to force things the way they want them to go, which very often is totally contrary to the flow of the Universe. Quite simply they have failed to “let go and let God” and as a direct result people suffer, fail to reach their full joyous potential and fail to evolve, thereby ensuring yet another incarnation on Earth in order to return once again in order to fulfil everything that was failed to be fulfilled in the previous lifetime. Of course at the same time every single human without exception, regardless of human behaviour generally, has to go through an evolutionary phase, often including hundreds of lives on Earth over the course of many thousands of years. This is a natural and necessary aspect of individual evolution. Without many cycles of Earth life experience it will not be easily possible to acquire the necessary level of Spiritual evolution and Energy vibration to continue along the path back to God. However, this cycle of the Earth human race has been and is being protracted by many factors, including gross materialism, creed and dogma and the “human paradox”. Unfortunately, even in the 21st century, due to ongoing programmed human behaviour, society is still operating a system that has been in operation for centuries, thereby trapping people from a very young age in a cycle that prevents happiness, fulfilment and evolution. From the first day a child is born into what should be a glorious, joyful and fulfilling existence they are indoctrinated into the trappings of the material world. A child is taught to focus on the five physical senses, to behave in a certain way that precludes maintaining their still strong connections with the inner worlds from where they so recently arrived, and they are taught to treasure material things including toys representing what their parents hope they will materially become later in Earth life. Later children are told by parents, relatives and teachers that they must go to school in order to get the qualifications required in order to get a “job” so that they may work for the next 40 years before retiring on a pension, but only after the physical body, Mind and Spirit has often been traumatised to a high degree, and where they can live the remainder of their lives in the hope of surviving in a non-caring world for the most part. From the moment of birth the Mind of most children is shaped by the human behaviour of well-meaning parents based upon their own perception of what life “is all about”, and usually based upon their own current circumstances in terms of type of job, type of street and house to live in and many other factors, all based upon the situation and aspirations of parents, relatives and others. Many children are taught that it is wrong to aspire to a life that is outside of their “station in life” and they should focus on the lifestyle that their parents have always accepted. The Mind of a child at both conscious and subconscious levels is very impressionable, and it does not take many years of having the ideals of parents repeatedly conveyed for them for the subconscious of the child to accept it as reality, and from that point onwards it will become the reality of the child just as it was for the parents. Finally, often sooner rather than later, old-age and failing health finally takes its toll and the welcome release back to the non-physical worlds once again takes place. Once the transition to the Astral worlds has taken place during the process known erroneously as “death”, the Soul will have every opportunity to reflect on what might have been for that most recent Earth life, what was not accomplished and why, thereby eventually resolving to return once again to Earth in order to achieve those same objectives the next time around. The Soul will then know that for their entire stay on Earth, rather than conforming to the hopes, aspirations and expectations of others based upon their own reality, they, as powerful Spiritual beings with freewill could have created any reality at all consistent with the lessons to be learned on Earth during physical life, and that there is really nothing at all they cannot be, do or have. Humanity is currently stuck in this paradox of human behaviour, a cycle of often what amounts to misery due to creating a reality that is not consistent with the true mission of the Soul, and it is not until this cycle is broken that everyone can find true joy, fulfilment and happiness, and above all true evolution along the path back to God, to Whom we all have the ultimate duty to return as perfected human beings made in the true Spiritual image of our Divine creator. The current system of education and society originated three hundred or more years ago. It might well have worked back then but with society still enforcing these principles, supported by creed dogma and the indoctrination of parents, teachers and society generally, mankind has actually failed to progress as the Universe intends; people have failed to evolve with the joy and fulfilment of Spirit. Human behaviour is such that children are told to go to school, study certain subjects, achieve certain qualifications, get a certain job, and then work in a certain office, factory or other place of work in order to earn the basic money required for material things in order to satisfy the material and personal demands of the ego. The pressure to conform and go through this routine is usually so strong that most people quite simply cannot resist it, even if they knew the alternatives, the real reason they are here. People might say that money is necessary even to acquire the basics of survival such as food, clothing and shelter. Yes of course this is true, but the fact is we are here to attract and enjoy unlimited wealth if desired, and not simply the very basics for survival in the Earth life system. There is a very big difference however between “wealth” and “money” and it is this distinction that has led so many people astray, continues to do so today, and will continue to do so until the Consciousness of mankind begins to understand and live by these realities and, most importantly each individual live their life accordingly. The Universe has unlimited wealth, riches and abundance just waiting to be delivered to each and every person. Ask and you shall receive, every time, there are no exceptions to this. The Universe does not recognise favouritism, luck, chance or any other such very human notions often used as an excuse by people to blame their own lack of progress on “other” factors that are perceived to be outside of themselves, when in fact they are always an inseparable aspect of such a person. Many people however simply do not know how to ask or to receive, and they therefore fail to achieve abundance, joy and happiness, instead becoming a slave to society, family and above all to themselves. The vast majority of people in the world today are not taught how to attract unlimited wealth, but rather how to “make money”. It is in the making of money that so much misery has been wrought upon all of mankind, with the gross materialism driven on by the ego and self-interest resulting in the misery we see today, being the direct result of this desire to “make” ever more money for the benefit of vanity, the ego and business profits, and to conform to the demands and expectations of family, friends and others. Due to programmed human behaviour, very few people achieve true financial freedom, and even those that do are very often not at all happy, fulfilled or joyous about their situation simply because they felt compelled to “make” their money at a very physical level, often attracting much misery in the process, both to themselves and to others. “Making money” is not the same as “attracting wealth”, abundance and the resultant true emotional freedom, joy and fulfilment. Only those who can fully understand how the Universe, The Source, God channels abundance through His/Her expressions within the physical world, through mankind, through each and every person, can and will achieve as much abundance as they can possibly desire, and most importantly with the true joy, happiness and emotional freedom that goes with it. This means throwing off the shackles of human behaviour, the expectations of society, the creed, dogma and indoctrination and the opinions and expectations of others in order to become a true channel for abundance. Those who can do this will answer those who may be critical by virtue of an extremely joyous, happy, fulfilling life on Earth, and one in which all desires are realised at will. It has often been noted that those who physically seem to “work” the hardest all of their lives seem to have the least money, possessions and true happiness, whereas those who seem to “work” the least often seem to enjoy unlimited abundance, joy and true freedom. Many people will view such happy, joyous and fulfilled people with envy, often accusing them of achieving their riches through some sort of illicit means, or they might accuse them of being “lucky”, “fortunate”, or “in the right place at the right time” or of some other erroneous factor. The fact is these are mere excuses to the people making these observations, a way of justifying to themselves that it can never happen to them. It is a very sad but true fact that many people still prefer to make use of their time in seeking to find fault with others rather than to celebrate their success and to be truly joyful that a fellow brother or sister human being has discovered true joy, happiness and fulfilment. Unfortunately today many people instead look towards failure and revel in the failure of others, a really terrible indictment on humanity generally. The simple and powerful truth is that those who have achieved such levels of true fulfilment have done so by casting off the shackles of society and have become open channels by which God can express fully in the physical world, thereby being blessed with unlimited abundance, joy and happiness. So the question is, how can anyone escape from the chains of human behaviour and modern society to which they are currently bound in order to realise their true potential? These questions and others will be fully dealt with in the next chapters of this book. Suffice it to say that every single person on the planet has the ability to attract unlimited abundance, all they have to do is understand that fact and have complete faith and gratitude while taking all of the necessary actions for what can seem like an extremely rapid, joyous and very real transition. Before we progress however to achieving these levels of joy, happiness and fulfilment, let us take a look at some of the fundamental reasons that people fail to realize anything significant. One of the most powerful and truest expressions of all is quite simply Let go and let God. In China a philosopher known as Lao-tsu said the following. “In the practice of the Way every day something is dropped. Less and less do you need to force things until you finally arrive at non-action. When nothing is done nothing is left undone”. These are very powerful words indeed, and once they are fully grasped will place you in a much better position to start attracting the abundance, joy and fulfilment that you truly desire. The fact is, mankind is currently so focussed in the material world that he is always “forcing” things by endeavouring to “do” things all the time. If a person desires something they automatically believe that a physical action is required in order to achieve it, thereby “forcing” things in their direction. Such force might well bring about the intended result, but nevertheless Universal laws are immutable, and the force of that cause will always have a corresponding effect; there are never any exceptions to this. Whatever the person was forcing is not actually a “physical thing” it is in reality Energy, the very same Energy from which all things are made, and in forcing that Energy in a certain direction, a direction that might not have been the natural direction of that Energy, then a disharmony has occurred which the Universe will always balance. As we will see from the next chapters of this book, the entire Universe is Energy, vibration and Mind, and Energy is therefore guided by the Mind, not by the physical effort of “doing”. Many people in the world today operate with the belief that the only way to achieve anything is to take a physical action, often motivated by greed, fear, uncertainty and other negative, irrational and primitive human emotions. It is this desire to physically “do” something in order to force a perceived objective that often brings about the opposite effect. It is simply not possible to “do” anything against the flow of the perfection of the Universe and the immutable Laws in constant operation that are responsible for the perfect order of the Universe. People are therefore focussed on “doing” instead of simply “Being”. In order to achieve anything it is first necessary to “be” rather then to “do”. It is therefore always the “being” that precedes the “doing”, there is not and cannot be any other way. This is of course not to say that we should never “do” things. Quite the contrary in fact; action is often necessary, but the action must always be aligned completely with the flow of the Universe; you first must “be” and then you can “do”. It is by being an open channel, always receptive to intuition, inspiration messages from inner sources that the necessary Energy arrives requiring an action that is in total alignment with that Energy. In terms of receiving abundance you might for example have projected a desire for something in accordance with the Law of Attraction, and the realisation of that desire will sometimes include the requirement to take a physical action in a certain direction in order to align the Energy involved, and thereby allowing the object of your desire to manifest into your physical reality. Although we all create our own realities at all levels of the Universe, while we are focussed within the physical world in a physical body The Universe, The Source, God will make use of physical channels in order to bring anything that has been attracted into observable, tangible physical reality. But please note: in this case we first had the “being” before the “doing” became necessary. It was never necessary to decide on what you want and then to take immediate physical action to force it in your direction. 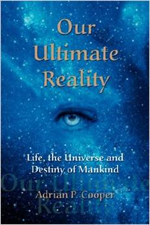 Our Ultimate Reality will show you how to escape the shackles of human behaviour by teaching you the process of manifestation, and the attraction into your life anything you can possibly desire in much more depth. There is a process however that must be followed in order to attract true abundance, and most importantly with the complete joy, happiness and fulfilment that goes with it. You must first of all decide precisely what you desire. Part of this process is to think very deeply or better still to meditate on your desire in order to be absolutely sure that it will add to your life in a positive and fulfilling way. This step should never be hurried. Once you have decided that you really do want that object of your desire, you need to turn your attention fully towards it, no longer as a desire but as if it is already a total reality in your life, experiencing all of the emotions associated with it. You continue to do this while being totally open to messages, intuition and circumstances that will start to appear in alignment with your desire. When these arrive you must immediately recognize and take the appropriate actions according to the nature of the message. Please note that it is only at this stage that actions are sometimes required as a result of simply “being”, and not as a result of attempting to force things in your direction. The final step is in the receiving. It is very important indeed to be fully aligned with the vibrations of all Energy involved in order to be in total harmony with whatever it is you are receiving, which will be vibrating at the same configuration of Energy. It is worth noting that many people actually do attract at least abundance to themselves without realising it, by virtue of their thoughts and emotions which are always responded to by the Universe, however they simply to do not know how to receive. This is analogous to a door whereby the person is on one side of the door in a closed room accompanied only by his or her desires, while everything they have ever desired is piled high on the outside of the door, never being able to open the door to “deliver” the desired to the person who attracted them. Ask and you shall receive, but only if you have the channels open to facilitate the receiving. It is necessary to understand how to receive that the door might be permanently open, or indeed not exist all providing for a free channel for abundance from the Universe, together with all of the freedom, fulfilment and absolute joy that accompanies it. So therein is the true paradox of human behaviour. Mankind is largely stuck in a “no pain, no gain” attitude of society, largely driven by materialism, vanity and the uncontrolled ego, with a perception that in order to achieve anything worthwhile direct physical action must first be taken. This is brought about by the materialistic focus of people generally, largely as a direct result of conditioning from a very early age by a society who lost its way millennia before. Children from birth are indoctrinated into this system by parents, relatives and teachers. Even though children will from birth instinctively know why they are here, what must be accomplished and how Divine laws operate with them in achieving their objectives, the assault of material indoctrination is so powerful, and from so many different human influences that the conscious Mind takes over and overwhelms the true knowledge and purpose, while ignoring the constant stream of inner messages and guidance from within. From that moment on the child becomes another slave of mammon, “working” in the physical world for material possessions, taking whatever direct physical actions are necessary to achieve the perceived objectives by forcing things in that direction. People not only spend their lives chasing ephemeral, physical, material things in order to satisfy the constant demands of the ego, family and others, but they do so often not only to enhance their own lifestyle but rather to conform to the expectations of others, and very often quite simply because it is “the way that things are done”. Other physical actions are motivated by greed, fear and uncertainty, all still very insidious characteristics of much of mankind today. It is only when this human paradox can be set aside that mankind can once again fully align with The Source, The Divine, God, and once again become a true channel of the abundance, freedom and absolute joy that is the right of every single person as a true son or daughter of God, an expression of God made in the true Spiritual image of God.